HTC U11 lowest price in Pakistan is Rs. 67,790. The price was updated on 18th April, 2019. You can read price, specifications, and reviews on our website. Twelve years of innovations at HTC have shown us that we always have to be aware of their phones, even if they do not go through their best sales moment. For those who thought the HTC U Ultra was going to be the high point of the season, and the next important thing had to be an HTC 11, here they are going to give us a surprise with the HTC U11. The most curious thing about the successor to the HTC 10 is not its Quad HD display, its improved Qualcomm processor or its glass and metal design. Most surprising is its new method of communication between user and mobile; being able to be squeezed. The HTC U11 has eight sensors integrated into the lower half of the frame surrounding the device, four on each side, which are responsible for detecting the pressure we exerted to ‘squeeze’ the mobile. And what can we do with this gesture? HTC allows you to configure the actions available to the user, from firing a selfie to activating one of its voice assistants, or to launch any of the applications installed. U11 screen size is a bit increased from its predecessor from 5.2 inches to 5.5 inches. The Super LCD panel 5 is now protected by Gorilla Glass 5 instead of the third generation Gorilla Glass. HTC brings the protection of its panel at the highest level, matching the other leading market players such as LG G6 or Samsung Galaxy S8. HTC U11’s rear camera comes exactly the same as that of HTC 10, i.e. 12 megapixels. It has an optical image stabilizer, it uses laser technology to autofocus, and of course, it supports the Dual LED flash. The selfies take center stage in the HTC U11 with its front camera of 16 megapixels at aperture size of f/2.0. 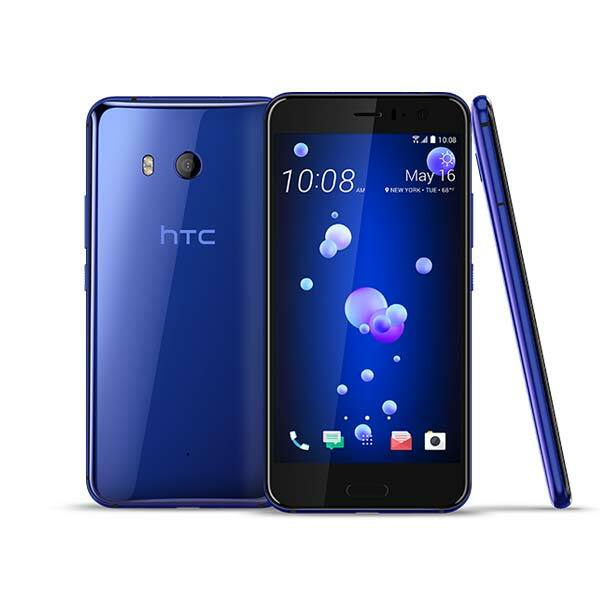 - The latest price of HTC U11 was obtained on 18th April 2019. - Buy HTC U11 online in Pakistan for the lowest price. There are different payment options for online buying. You can also avail the options of Cash on Delivery (COD) and Online Credit Card Payment on purchase of this product.